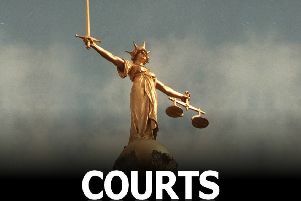 Six people are due to be sentenced for their part in the kidnap and false imprisonment of a man from Melton last year. Daniel Tillson (37) was taken from his home address on May 19 after a group of men forced their way in. Residents nearby reported a disturbance at the house and a complex and fast-paced investigation ensued. Today (Thursday), following a trial, Alisha Campbell (31), of Chedworth Close, Nottingham, was convicted of false imprisonment. A second woman, 28-year-old Keisha Makanjuola, of Manvers Street, Nottingham, pleaded guilty to false imprisonment for her part in the crime. Four men admitted kidnap at an earlier hearing. They are Kenneth Wallace (23), of Manvers Street, Nottingham, Damien Hyland (30), of Godfrey Street, Nottingham, Daniel South (31), of no fixed address, and Levi Wildridge (31), of Wadhurst Gardens, Nottingham. They will all be sentenced at a later date yet to be confirmed. Leicester Crown Court had previously heard that the four masked kidnappers beat up Mr Tillson before bundling him into a van and holding him hostage overnight. A £10,000 ransom demand plus a kilo of cannabis was initially demanded. The court was told that Mr Tillson feared he was going to be killed during the ordeal, with his abductors threatening to bury him in a grave in remote woodland as well as saying they would chop off his fingers and tie him to bricks to drown him. It was through extensive investigations, including the trawling of CCTV and mobile phone records, along with tracking the vehicle used in the crime that led officers to the offenders. It was through these investigations that officers were also led to Campbell and Makanjuola. They were all arrested the next day after the investigation was brought to a safe conclusion with the victim released into the care of officers. Detective Inspector Shaun Orton, who led the investigation, said: “This was a planned and calculated crime where the four men forced their way in to the victims’ home. “When they didn’t find what they wanted, they took him, by force, and made demands for his safe return. “This was a sensitive investigation with officers from across the East Midlands working through the night to ensure his safe return. Working covertly, initially, we were able to trace the offenders linking them to the crime through intelligence.